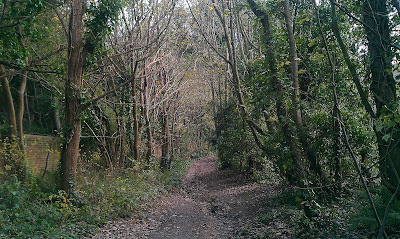 Location: St Helen's Wood, Hastings, East Sussex. OS Explorer Map 124, 'Hastings & Bexhill'. Starting GPS Co-ordinates: N50 88' 30" E000 58' 10"
Finishing GPS Co-ordinates: N50 87' 70" E000 58' 20"
To see: St Helen's Old Church. A green lane in the middle of Hastings? You'd better believe it! Uniquely, in our experience, Hastings actually has a few green lanes running through it, but most are simply unadopted roads. St. Helen's Wood Road, however, is the real thing. It's a little surreal driving a byway in the middle of a large seaside town but it is by no means an unenjoyable experience! St. Helen's Wood Road leaves The Ridge (otherwise known as the B2093) southwards and downhill through a car park for some new flats and thence, on a firm surface of leaf mould and mud, passes some bungalows and, on passing the last one, the surface deteriorates a touch as a shallow washout is forming down the middle of the lane. It's easy going, however, as long as it is negotiated correctly. On the plus side the foliage is kept well back and should leave your paintwork alone. Around the corner a footpath leaves the byway to the east. 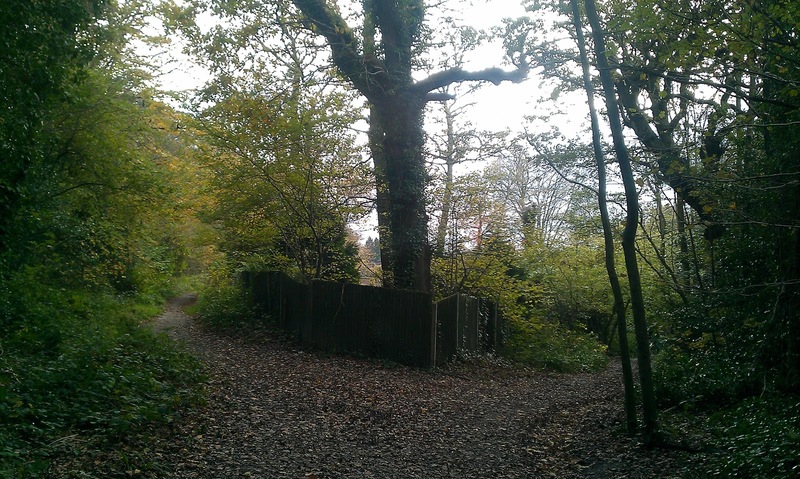 This point is marked by a wooden fence (see picture below), and the byway itself tracks round to the south and continues downhill. Don't make the mistake of driving the footpath! On a straight, easy track the byway soon ends how it began: on the tiled driveway of relatively modern housing estate. There are other byways in the immediate area but these are effectively dead ends and they all are redesignated as bridleways along their length. As such it really is not worth out time reviewing them as they are dead ends. Don't be tempted to drive them illegally! Where the footpath leaves, it passes the ruins of St. Helen's Old Church, an ancient ruin dating back as far as the reign of King Offa. After conquering the men of Hastings, he constructed the church in AD 771. Much changed since those days, the ruins of the church and its gravestones are still there and the site is worth a visit. On a personal note, this area used to be the favorite haunt of my Grandfather's scout troop in the 1930/40's! 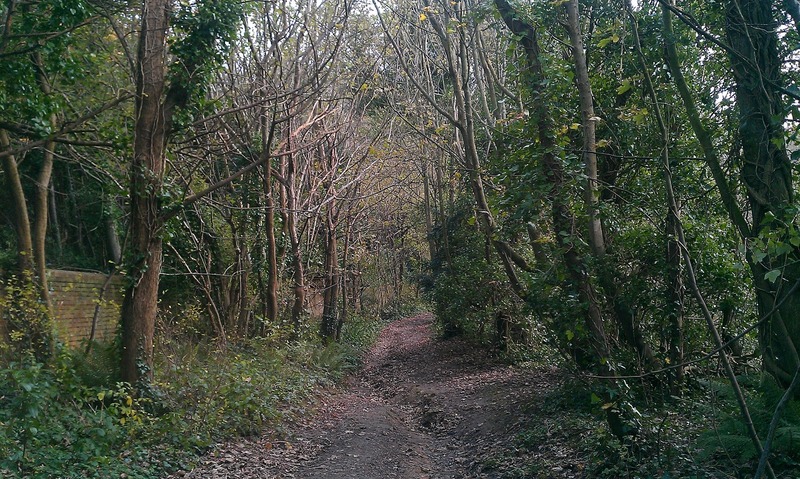 This is East Sussex County Council's Byway Hastings 221. At this point go right.